I am a RECO registrant, licensed to sell and trade estate anywhere in Ontario. I am a member of the following real estate boards: Oakville and Milton. I currently am a member of the Canadian Real Estate Association, and the Ontario Real Estate Association. In the past, I have owned and operated my own business for 10 years and I am currently involved with property management, leasing and maintaining property. With this specialized background, you can rest assure that I am fully aware of the 100% customer satisfaction, representation and the cutting edge marketing that is necessary for your real estate transaction. By choosing me as your Realtor, you will also have the Royal LePage team of professionals promoting your home until it is sold. Our mission is to be Canada’s finest, most professional real estate service organization. To clients who are served by royal LePage, we commit to delivering high quality, industry leading and innovative real estate products and services on a complete cost-efficient basis, Our business relationships will be characterized by the highest degree by honesty, credibility and fair dealing. We are committed to setting the pace in service excellence. 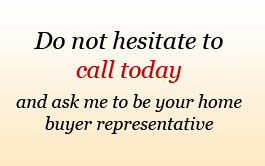 I will do my best to take the stress out of your real estate transaction! Any information you provide to me will be kept strictly confidential. I may at times send you promotional information. I do not share your personal or business information with any 3rd party or organization. Thank you for having an interest in my real estate service. I will do my best to take the stress out of your real estate transaction and allow for a smooth transaction. Copyright © Tim Gerrior | Designed & Developed By iQWeb Solutions Inc.